As you have probably guessed, today I loaded the kids into the van and we made a trip to the post office. Here is what we included in Mariah's care package. We gave the director a WV calendar. The nannies will receive some yummy Werther's candy! Mariah's gifts included: fleece-lined blanket, lullaby- playing glow worm, small stuffed hippo, Chinese/English book, disposable camera (not really for her but entirely selfish of us to want pictures!) We also sent a small photo album with pictures of our family labeled in Chinese, and a flash drive. Again, that is for us to get more digital pictures and updates on Mariah from her orphanage. We know a family that is traveling to Mariah's orphanage the second week in March. They graciously offered to take our package. How sweet of them! They even refused the money I sent. They said they will give the money to the orphanage director as they are certain the orphanage has needs and the money will be used wisely. They also offered to take pictures for us. This family gave me some great information on the Changzhou SWI (Social Welfare Institute). They moved into the new orphanage about two years ago. Before that, Changzhou had a smaller, older facility. This facility was located next door to a retirement home. The elderly residents often came over and loved on these babies. 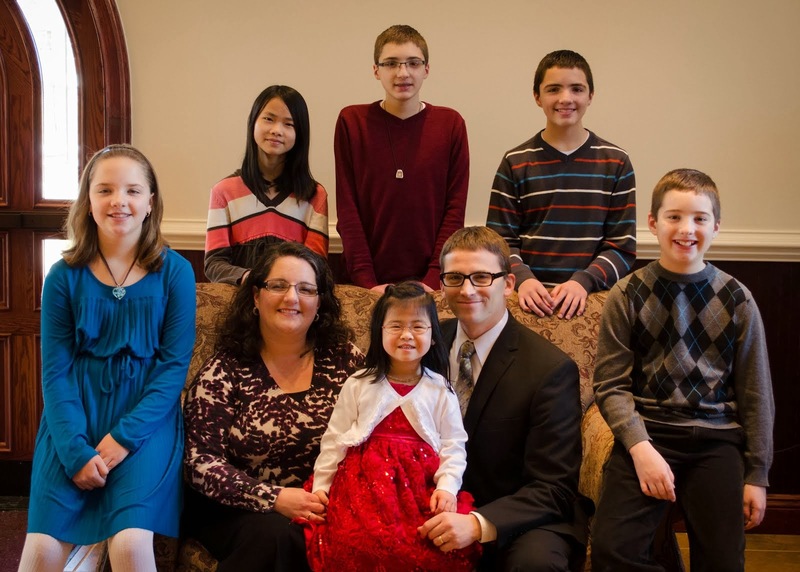 Twelve years ago, when this family adopted their daughter, all the adopted babies (all 7 months old at the time) were chubby, well-loved, and right on target. I am blessed by how they cared for the children there. This did my heart so much good. Although I don't know how it all works now that the kids are in the new orphanage, I suspect it is still just as good. As you can tell by her pictures in my last post.......she has a very full face! Jeremy and I took some time a few weeks ago and wrote our first letter to Mariah. We know she is too young to begin to understand, but we needed to do this for us and her. My friend had it translated for us making sure it was culturally correct. We are so grateful! Here is the letter we wrote. We are so excited to have been given preliminary approval to adopt you. What excitement has filled our house since we first laid eyes on your beautiful pictures. You have three brothers and a sister here that are so excited to welcome their new sister into our home. Not to mention a Daddy and Momma who cannot wait to meet and snuggle you. We already have so much love in our hearts for you. We have taken the time to have your Chinese name translated. We love what it means and have decided that we will keep that name once you are our daughter. Your new name will be Mariah Claire Lu Ping. Mariah is a name that we both love. Claire is your Great-Grandmother's name. She already loves you too. Your sister, Rebecca, is so excited to finally have a sister! She has shopped for you and is eager to share a bedroom with you. You also have a lot of extended family that is anxious to meet you, our precious little one. Daddy's and Momma's hearts ache for you to be here with us. We cannot wait to come and get you and to visit your beautiful birth country of China. We love you very much sweet baby girl! Here is Mariah at her party. We'll just say this was her Forever Family Celebration party. But we all know this was her belated birthday party. Since we got her referral one week after her birthday, we missed the celebration. Then New Year's came, then there was Chinese New Year and we just were not able to arrange this. We are thankful for the opportunity to love on her from the other side of the globe.........thanks to Lady Bugs n Love!! Mariah's Ayi helping her cut the cake! Mariah and her friends watching the sparkler. LuXue is watching the sparkler with big eyes! On an interesting note, the little one to Mariah's left (in the yellow) we believe is Luxue. Her forever family is here in the states. We contacted each other last week. We seem to be on the same timeline and we are hopeful that we travel with them. 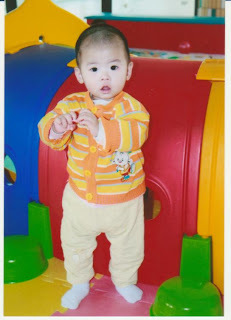 We also know a family that is traveling to Mariah's orphanage in March. We are hopeful for even more pictures!! Enjoy! I just received an email that we have our Log-In Date! As of February 2, 2012 we are Logged in. So, we are already six days into our wait. Our dossier has made it to China and the documents have to be translated. Then we wait for our LOA (Letter of Acceptance). This is the super important document that gives us approval to adopt Mariah......officially! The wait for our LOA can vary. Some are getting their LOA's in the 40-50 day range, and others are on day 135. We pray for patience and peace during this time. Most of all, we pray for good health for Mariah. I have a family that has offered to take a care package over to Mariah when they go in March. Their daughter was adopted from Mariah's orphanage a few years ago and they are going back to visit. This sweet family has offered to take pictures of her. I asked if they would give her an extra hug and kisses from all of us, if they were allowed into the baby room. They were gracious and said they certainly would. Then I asked if they would whisper in Mariah's ear and tell her we are coming soon!